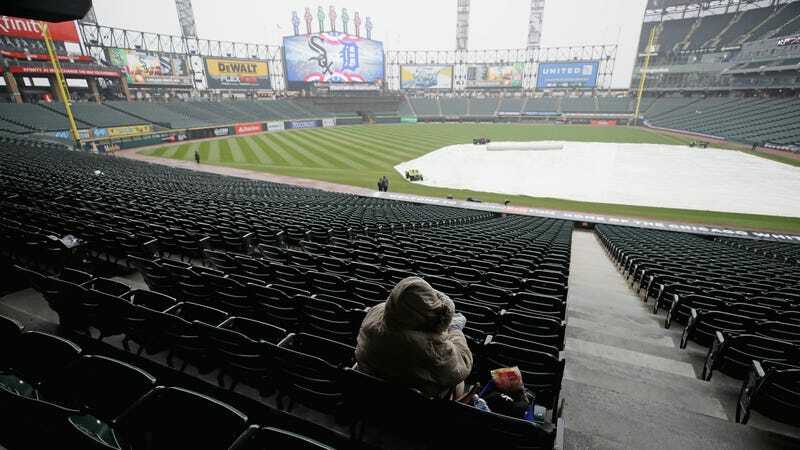 The Chicago White Sox, who were set to send ace pitcher José Quintana to the mound against the Detroit Tigers and their ace pitcher Justin Verlander today, failed to play, as the game was rained out. April is—or can be—a bleak time on the South Side of Chicago. There are—or can be—hard, cold, unpredictable rains that make locals wonder why they live on a grim, endless expanse of flat, hard concrete abutting a lake. The White Sox ended the day 0-0.